Today, I have the wonderful pleasure of Diana Rowland’s company here at Fantasy Dreamer's Ramblings! Diana’s newest urban fantasy novel Blood of the Demon, book two in the Kara Gillian series, recently released. It’s an outstanding novel which I just had to finish reading in nearly a day’s time. Yeah, it’s that good. If you haven’t read Blood of the Demon or started this terrific series yet, after reading this post there’s a sweet giveaway at the end. The Ugly Truth about where writers get their ideas. Okay, it’s not dark and dangerous at all. The truth is boring. Making it all up can be real work sometimes, but at the same time it’s easy if you just know how to let yourself do it. Ideas happen all the time. They come from everything around you--life, experiences, overheard conversations, random observations. You get ideas all the time too, but perhaps you don’t give yourself the freedom to let your mind wander and explore that idea. This is the most important one for me. I tend to have the short term memory of a gnat, and I can’t count the number of times my mind has been wandering and I’ve come up with a really cool plot twist, or a really neat direction I can take a character... and the next day when I sit down to write I can’t remember anything about it. [cry!] It’s especially bad when I’m drifting off the sleep. For some reason my brain loooooves to torture me by coming up with Perfect Solutions to major plot issues right when I’m all warm and comfy and relaxed. And I’ve tried repeating the Perfect Solution over and over mentally, in an attempt to shove it into long term memory. But it never works. By the next morning I’ll be lucky if I even remember that I had a Perfect Solution, much less what it was. How often do you think of something kinda cool and interesting? Now, how often to do you sit back and muse about that cool and interesting detail? If you wrote your brilliant ideas down earlier, make sure you go back and look at them and let them fester in your brain for a while. 3) Allow yourself to go off on tangents. 4) Brainstorm--don’t throw any ideas out. 5) Put the whole thing where you can see it. Sometimes the strangest things make connections and spark new ideas. It helps to have clear wall space and an understanding (or at least tolerant) spouse, too. But I can’t say enough about the value of being able to stand back and see ALL the ideas and the tangents in one place. More connections will leap out at you, and more ideas will form, and before you know it, you’ll have something that might possibly be a Workable Concept. When I’m starting a book, I have several iterations of Plot Wall. Actually, the first Plot Wall isn’t about the plot at all--it’s about the brainstorming and the ideas and the connections, and all of the things I talked about earlier. But once I have a Workable Concept, then I can go on to figuring out what happens when and how to put all the pieces together in a well-paced and plotted format. But that’s a topic for a post of its own. So, there you go. Now you know where writers get their ideas. Told you it was boring. Not boring at all but an informative look into an awesome writer’s mind. Thank you Diana! In the comments, tell me which which book you’d like to win in the Kara Gillian series: Mark of the Demon or Blood of the Demon. Leave your email with your comment if it isn't part of your profile. Email is the best way to notify the winner. Open to anywhere the Book Depository ships internationally. US winners will receive their books from Amazon.com. Deadline to enter this giveaway is Friday, March 26th at Midnight CST. Oh ! I am the first commenter. Maybe that is lucky for me if St Pat is on my side ! I haven't read either of the books so I would like the first one Mark of a Demon. I loved this post. It seems like common sense, but writing can be so intimidating that common sense tends to be overlooked for the "easy answer." I would love to read Mark of the Demon. This was a great post! Happy St. Patty's Day! I would love to win Mark of the Demon. I've been meaning to get it for awhile now. I would love to win Mark of the Demon! I have heard wonderful things about this series! I would like to win Mark of the Demon. Useful tips. Love the idea of a Plot Wall, I was actually thinking of it today - what a coincidence! Either book is fine by me! They're both on my TBB list anyway! I've had my eye on this one. Mark of the Demon please! I would like Mark of the Demon since I havent started this series. Looks great! Great interview. Love to plotting ideas. I loved MOTD, I would love to read Blood of the Demon. Great giveaway! I have to say that both books are on my wish list but would like book 1 as start of the series by Diana. Thanks Donna and Happy St Patricks day to you today! 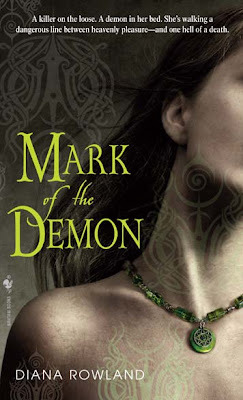 I would love to win Mark of the Demon since I have not read this series yet, but it has been on my wish list for quite awhile! I'd love to read the first book, : Mark of the Demon. I have MOTD very high on Mt. TBR and BOTD is on my TBB list so I'd love to win BOTD. Have been hearing a lot of good stuff about this series! Can't wait to start it. I love the plot wall. And you can save it as a memento, heh. I've been wanting Blood of the Demon. It's a book I visit at the bookstore. Mark of the Demon is my choice. Unfortunately it probably won't stop me from asking how an author came up with an idea. I think as a non-writer-reader, I'm just fascinated with how a person can imagine something so amazing as an entire novel. I just don't have those same thoughts swirling through my mind so despite your very informative answers, I'll still be asking the same question because I'm constantly compelled to do so by my own internal wonder. I can't help it. As for the giveaway, I'd love to read this series and I'll need to start at the beginning so it's MARK OF THE DEMON for me please. I wrote all of this down on stikie notes!! The idea of writing a novel sends me screaming into the other direction, the amount of time, planning, and skill amazes me. Hence why I'm a avid reader. I haven't read either book, but I'd be pleased as punch to win one of them! I love the plot wall! It's crazy that you have so many ideas that you need so much space to plot them out! Writing seems like a big adventure/ alot of work at the same time :). I already have both books and love them I just wanted to stop by and say hi - happy St. Paddy's day! I would love to win Blood of the Demon. I would be thrilled to win Blood of the Demon *squeal*. I have no idea if my email is available on my profile *hmmm...must check that out* so I'll post it on here just in case. I have book 1 so I'd like to be entered in for Blood of the Demon. 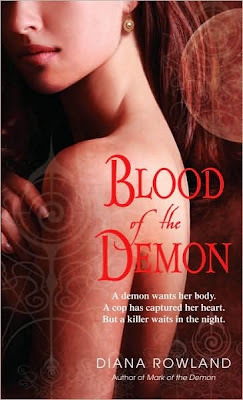 I just read Blood of the Demon, but I missed Mark of the Demon so that's my pick! I have already read and loved the first one so I would like Blood of the Demon. Thanks!! I would love to read Mark of the Demon, it sounds a wonderful series! I will be happy with either book. Thanks. Thanks for an interesting post. I'd prefer Mark of the Demon. Happy St. Pat's Day. I already own both books but that interview was interesting, thanks! I haven't yet read anything in this series, but I really want to!! So I would love a copy of Mark of the Demon! I recently purchased Mark of the Demon so I would definitely like to be in the running for Blood of the Demon. Thanks for the guest post and contest. Great interview. Since I have Mark of the Demon, I'd really love to win Blood of the Demon so I can continue the series. Thanks for the chance to win. Since I haven't read either of these books. I would love to start with the first one - Mark of the Demon. What great advice! And thanks for the chance to win these books. I'd choose "Mark of the Demon" if I was to win. I haven't read the books yet so I would like the first one Mark of a Demon. I'm going with BLOOD OF THE DEMON! Thanks for doing this awesome giveaway! I haven't read this series yet, so I would like the first book, Mark of the Demon. I think Brainstorming is an art and can lead to brilliant things. I would like Mark of the Demon if I win. Already have the first book, but haven't picked up Blood of the Demon yet so would love to win a copy. I'm in the US. Where do you get your ideas? "Your mom" *snort* LOL! Would love to win Blood of the Demon! Thanks for sharing the plot wall. I do something similar when planing a theme vest. As a seamstress building a story with fabric and thread in a small area it is important to plot carefully. I never thought of doing the same for writing. I have already read Mark of the Demon , and would love to get Blood of the Demon. Thanks for stopping by. Hope you had a happy St. Patty's day. I'd love to win Mark of the Demon!! I have the same short term memory problem I'll have great ideas but they never stay around long enough to make it to paper. No need to enter me I already have both. I'd love to win Mark of the Demon. I've heard a lot of wonderful things about this series, and I want to start at the beginning. Thanks Donna!!!! I am going to try for book 1, Mark of the Demon. I really enjoyed this post! The author may think it is boring but I found it very interesting to hear her process. Thank you! I am going to try and remember this. I always carry paper and note cards with me anymore, never know when the moment is going to come to you. Thanks for the interview - it was very interesting!! I'd love book 2 if I won!! I enjoyed Diana's post as well, thanks Donna. okay, so I am a HUGE paranormal person. I am currently writing a book about a demon girl and I know how I want to have my girl, but I would love to see how other authos describe their demons. Email in under "contact me" on my blog. Both of them seem great! But I'd choose Mark of the Demon! It looks like I've missed out on an amazing series. Congrats on the great reviews, I loved the excerpt I read and would love a chance to win Mark of the Demon. I would love to win Mark of the Demon. I have read so many great things about this series. I can't wait to read it! I'd love to win "Blood of the Demon"! Great post. I would love to win Blood of the Demon. I really enjoyed Mark of the Demon. I have not read any of this books. I'd love to win the first book, Mark of the Demon. I enjoyed the interview. 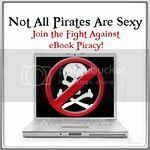 She sounds like a great author and I'd love to review her book on my blog! Sorry. Please delete my previous comment. Forgot about not including the email. I enjoyed the interview and she sounds like a great author. I'd love to review her book on my blog! I would love to win Blood of the Demon. I haven't read this series though (I seriously need to go to the bookstore!) but both books sound really interesting. Ooh, fun! Thanks for introducing me to another new-to-me writer! I'd like Mark of the Demon if I won. These look like books I would really enjoy. I would love to win Mark of the Demon. Thanks for the chance. I've actually been interested in reading these for a while, but keep getting flung under a giant pile of work. I appreciate the chance to win Mark of the Demon. This was a very informative interview. Thanks.